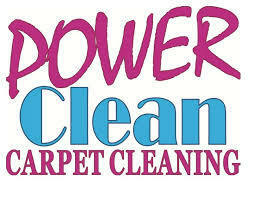 With any cleaning agents you use, always test an inconspicuous part of the carpet to make certain no damage will occur. Follow all directions and use the appropriate safety gear. While my years of experience and knowledge tell me that the proper application of this information will not harm you or your carpets in any way, you assume full responsibility while using these products. BLOOD. Blot up as much as possible with paper towels. Apply mixture of 50/50 hydrogen peroxide and water, blot. Rinse thoroughly with water, repeat as needed, blot until dry. Follow directions. If stain remains, call professional carpet cleaner. the cloth. Repeat this process until most of the wax is gone. Apply a solvent cleaner and blot the remaining wax until it is removed. Pinching the carpet fibers with the cloth between your fingers is a good way to do this. Apply a mixture of ½ cup ammonia to one quart of water to the spot. Gently agitate and blot up. This removes the solvent from the carpet. Apply white vinegar to the spot. This removes any remaining residue. If wax is gone but dye remains, follow directions for removing dye stains. Follow directions carefully. If stain remains, call professional carpet cleaner. CATSUP & TOMATO SAUCE. Apply cool ammonia solution, blot. Apply ammonia solution, blot. Rinse thoroughly with water, blot dry. If stain remains, call professional carpet cleaner. CHOCOLATE. Scrape away as much as possible with dull knife. Apply ammonia solution, blot. Apply ammonia solution, blot. Apply vinegar solution, blot. Rinse thoroughly with water, blot until dry. If stain remains, call professional carpet cleaner. remains, call professional carpet cleaner. CRAYON. Apply volatile aerosol solvent. solvent penetrate to the latex backing. This will damage the backing. If stain remains, call professional carpet cleaner. GRASS. Apply enzyme detergent, blot. Rinse with water, blot. Apply ammonia solution, blot. Apply vinegar solution, blot. Rinse with water. If stain remains, call professional carpet cleaner. INK (Ballpoint). If the spot is small and has not penetrated deep into the fibers - Apply volatile aerosol solvent to a dry white rag. Pinch the carpet fibers with the rag. Repeat until ink is gone. If stain remains, call professional carpet cleaner. If the spot has penetrated deep into the fibers - Make a liquid barrier around the ink spot by mixing a 50/50 solution of hydrogen peroxide and ammonia. The ammonia is catalyst of peroxide, and makes the peroxide work better. If you are working on natural fibers such as cotton, wool, linen, avoid using ammonia. Use plain peroxide instead. Once the ink spot is surrounded with the liquid barrier, Apply volatile aerosol solvent to a dry white rag and blot to dissolve the ink. If the ink wants to spread, take an eyedropper and push the ink back to the middle with your peroxide/ammonia barrier. Continue to blot with the solvent until ink is removed. If stain remains, call professional carpet cleaner. JAM & JELLY. Apply ammonia solution, blot. Apply vinegar solution, blot. Rinse with water, blot. If stain remains, call professional carpet cleaner. LIPSTICK. Use the same process as with crayons. MILDEW. This is not a simple stain problem. This is a health issue. Mold needs to be handled in a certain way with professional specific disinfectants. Your normal household cleaners are not going to successfully take care of this without risking damage to carpets. Call a professional carpet cleaner. MUD. Brush or scrape, and then vacuum away as much excess mud as possible. Apply ammonia solution, blot. Rinse thoroughly with water, blot until dry. If stain remains, call professional carpet cleaner. PRETEST INCONSPICUOUS AREA FIRST. If stain remains, apply volatile aerosol solvent to a dry white rag. Rinse with water, blot until dry. If stain remains, call professional carpet cleaner. clean paper towels. When stain is gone, apply the ammonia solution, blot and rinse with the vinegar solution. If stain remains, call professional carpet cleaner. carpet. 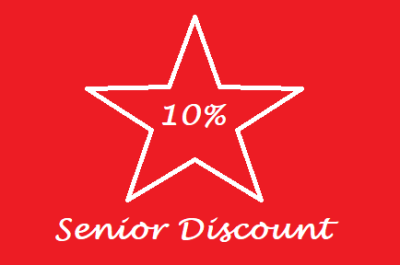 Otherwise use a liquid or gel solvent and apply to paint. Let sit for 5-10 minutes, agitate the spot. to the latex backing. This will damage the backing. If stain remains, call professional carpet cleaner. permanent dye removal from fibers. stain remains, call professional carpet cleaner. solution, blot until dry! 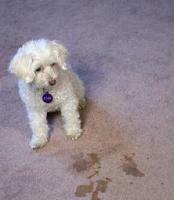 If stain remains, call professional carpet cleaner.